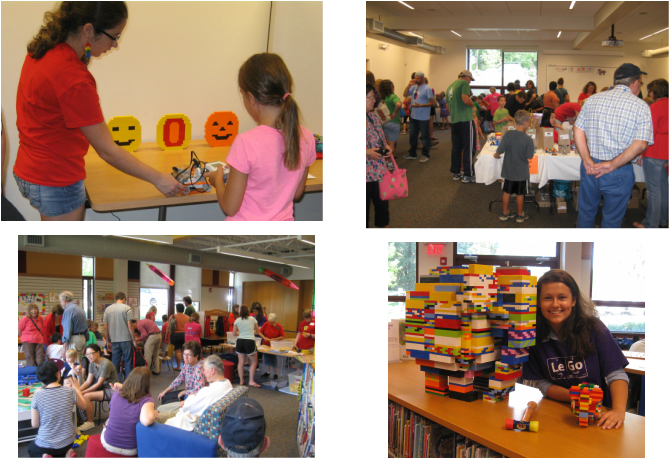 "Bricks for Books" Carnival FUNdraiser: A Big Success! The Carnival FUNdraiser for Wm. 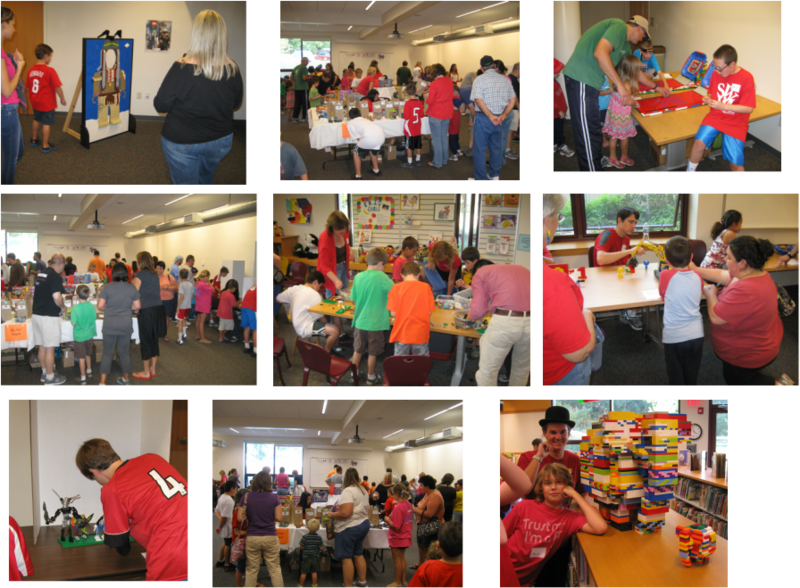 Jeanes Memorial Library was a lot of fun! We helped to raise a little over $1900! Thanks to everyone who visited all the activities (upstairs and downstairs, over 700 people!) and especially to those who volunteered their time and energy! Save the date for next year's Carnival: Saturday September 6, 2014! Games, food and vignettes! Finally, Elmer! Some pictures from the carnival: games, food, big build and finally, Elmer! ColonialLUG members created the library's logo. It was on display upstairs during the month of August and is now downstairs. Stop by to see it!